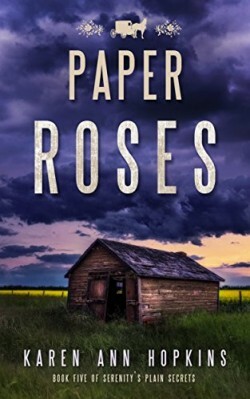 Paper Roses is the electrifying new addition to the Serenity’s Plain Secrets’ mystery/crime thriller series. While an archeological team digs up Blood Rock’s sinister past, a forbidden romance begins, and Serenity races to stop a serial killer before he strikes again. When the mutilated corpse of a young Amish woman is discovered in Blood Rock, Sheriff Serenity Adams embarks on her most terrifying case yet, facing a killer unlike anything she’s seen before. Law enforcement and the Amish join forces to unravel the truth and find the person terrorizing the community, and just when Serenity thinks she’s solved the case, she finds out that the nightmare is far from over.